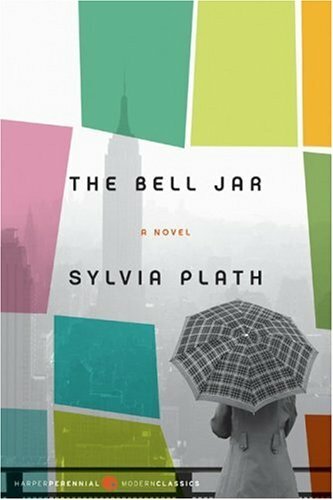 I don’t know if I’ve ever a more hauntingly real and deeply mental book as The Bell Jar by Sylvia Plath. Plath gives us a semi-autobiographical journey through the mind of Esther Greenwood from her internship in New York City to her stay in a mental institution. While reading the book, I realized that there is a little bit of Esther in almost everyone. Whether it is our paranoia or anxiety about little things every once in a while or simply the feeling of madness that we all can sometimes get, Sylvia Plath reached previously unattainable levels with her only novel. The Bell Jar is possibly one of the best books I have read recently. Plath uses the first person point of view to take us through Esther’s thoughts, which are sometimes coherent and easy to understand. But at other times we are thrown into Esther’s true mental illness and are able to experience her anxiety along with her. Esther embodies the true way that mentally ill patients were treated in the 1950s and 1960s. Plath, by taking some of her own experiences and turning them into fiction, shows us the reality of experiencing being in a manic depressive state. Surprisingly, I especially enjoyed the way Plath would take each chapter and jump back and forth between the ‘sane’ Esther who was telling us her story as an adult and the manic-depressed Esther that is ultimately institutionalized. Also, the semi-feud that Esther has with her mother is something that many women and young ladies could possibly relate to. While Esther feels that she is sometimes never good enough to please her mother, she still loves her mother and wants to keep trying to please her. The different relationship presented throughout the novel, Esther/Buddy, Esther/Joan, Esther/her Mother, Esther/the other interns, Esther/the other patients, Esther/her doctors, all embody relationships that we all have had at one time or another. Now, obviously, I’m not implying in any way, shape, form, or fashion that everyone who reads the book or gets something out of the book is mentally ill. I am simply saying that in almost every piece of literature, there is something that one can take from reading it, and I think that Sylvia Plath has given us all a little piece of ourselves that just happens to be a bit crazier than we would normally deem ourselves to be. I do also think that the novel itself is more geared toward women than men. Women, by our nature, are more emotional and anxious creatures, and I think this is why this novel appeals to mostly women. But I do think that it is a good novel for men to read, as well. Guys, you never know what you’ll get out of a book until you read it! Next Post New Posting Schedule!